Poor Kurt. 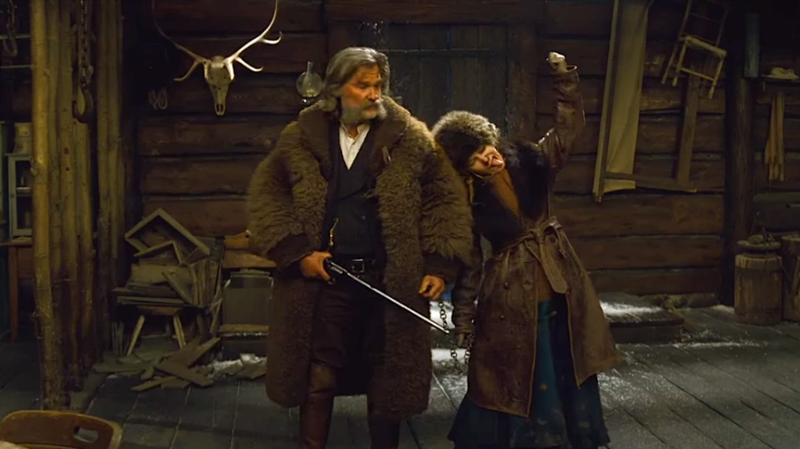 As many of you have already heard, there was an incident on the set and filming of Quentin Tarantino's latest cinematic offering The Hateful Eight. Quentin is all about authenticity in his films and props are no exception. So the Martin Museum loaned one of their guitars to be featured in the Tarantino western. The 145 year old guitar was an authentic Martin from the 1870's and was deemed priceless. 6 duplicates were made for smashing on film. The original plan was for Jennifer Jason Leigh's character was to play one song on the historical guitar, Kurt's character comes up and grabs the guitar from her, they cut and swap it with a duplicate, resume filming then he smashes the duplicate. It didn't quite work out that way. Apparently this wasn't conveyed to Kurt Russell, resulting in the destruction of the priceless musical artifact. According to the film’s Academy Award-winning sound mixer Mark Ulano, as quoted in SSNInsider.com, the scene was to be shot up to a certain point, a cut made, the guitar swapped out for a double and for the double to be smashed. “Well, somehow that didn’t get communicated to Kurt, so when you see that happen on the frame, Jennifer’s reaction is genuine,” Ulano said, as quoted in SSNInsider.com. "As a result of the incident, the company will no longer loan guitars to movies under any circumstances,” Boak says. “We want to make sure that people know that the incident was very distressing to us,” Boak says. Ouch. 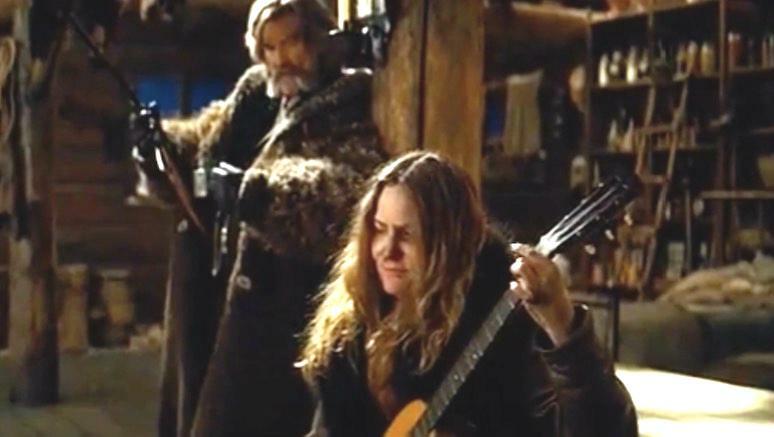 Well on the other end, Jennifer Jason Leigh is the last person to play the 145 year old six string priceless guitar. And see it's destruction. And convey her genuine emotional response. And it's all caught on film. You can either wait to see the infamous moment when it hits Blu Ray and Digital or you can catch it on the copyright-infringing video below.